A common mistake that many homeowners make is they do not get their home inspected on time. This is the reason that when the weather gets bad their roofs start to leak. Another mistake people make is they use DIY strategies to inspect the cracks in their roof. Homeowners might be able to fix prominent problems but there can be several small, hidden cracks that go unseen, leading to leaks when it rains. It might be challenging for roofers to repair the roof when its raining because they cannot take the risk. However, there are some DIY techniques that will help you to stop the roof leak until the professionals can come for your help. Here are some easy strategies you can use. In case that you have flat roofs, you can easily patch them. There are different types of patching materials available in the market. You can use a primer and patching system. With the help of tools, remove shingles from the part of the roof that is leaking. Make sure that you evenly align the surface before you apply the patching system. This will help you to keep everything safe and within few hours the roof leaks will stop. It is one of the quickest DIY technique that will help you to get rid of the roof leaks. In case that you do not have the option of using shingles or patching system, you can use concrete. You might have been wondering that concrete does not dry easily so how it would be beneficial. There is a unique, quick-dry concrete available on the market. It will dry quickly so that even if it rains the next day you will you will not have to worry about leaks. This is a technique reserved only for small cracks. It might sound appropriate to repair the roof yourself, but remember that it is a very dangerous task and it may void your roofing warranty. A single wrong step and you will be on the floor. 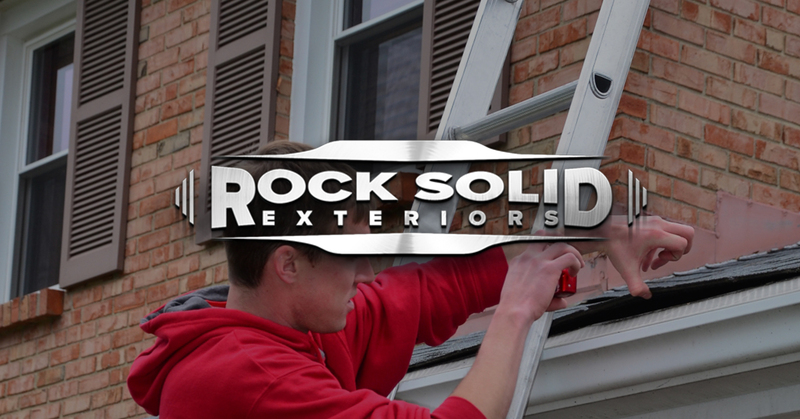 It would be a better option if you hire professional roofers like Rock Solid Exteriors. We will quickly repair your roof within 24 hours despite the weather conditions. We also have insurance claim specialists on hand to help aid you with any insurance claims. Financing options are also available. Call today for your free consultation at 800-Roof-Pro.